SDL (specification and description language) is a formal, object-oriented language. It is intended to help specifying advanced, event-driven, real-time interactive applications that comprise many simultaneous processes and activities, communicating via discrete signals. SDL is a graphical, symbol-based language and an SDL design is both an implementation and its own documentation. The need of SDL becomes more evident during the last decade or so, due to the increase of multiprocess systems which operate in various environments. The needs of those systems are best met via formal methods. Additionally, the growth of the international market of products and equipment created by different manufacturers has created a need of standardization that would allow smooth communication between those systems. Based on those needs, SDL has been created by telecommunications engineers for the description of real-time software. Then it’s been standardized by the ITU-T to describe the structure, behavior, and data of systems. 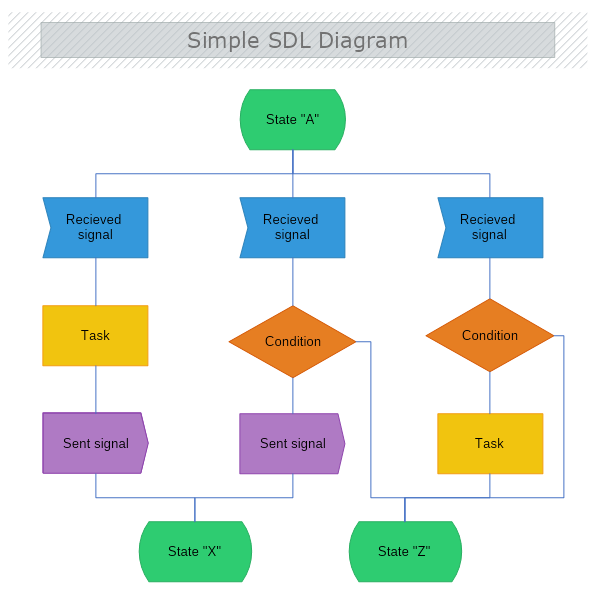 What are SDL Diagram used for? Validation and validation of behavior of systems. In summary: Diagrams based on the Specification and Description Language (SDL) are designed to describe the reactive; concurrent; real-time; distributed; and heterogeneous systems like the ones whiting the telecommunication, medical, aviation, and automotive industries. 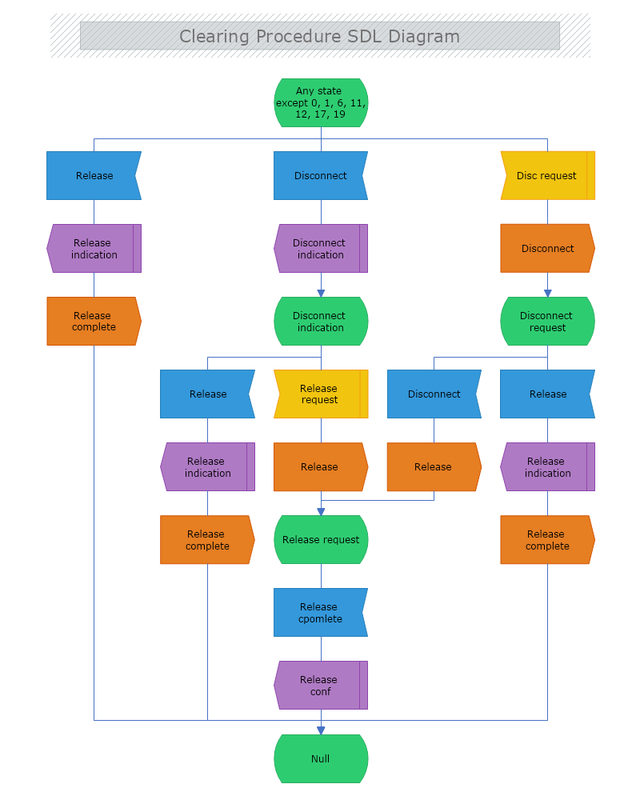 The name Specifications and Description is choses, as this language is suitable for implementation-independent specification of behavior as well as for description of the actually implemented behavior of a system.